Don't forget to scroll right to the end for an important annoucement about Sims 4 machinima and SIFF. Essiepictures may have been the first person to put out a CAS demo turned into a machinima.These various clips are a brilliant example of the possibilties. Anyone who is familar with Bahariawans Studio and director Fadhil will know that he has a very oddball and quirky style that is all his own. Ok well, he's inspired by the film genre's that he imitates, but as far as Sims machinima goes, he's always making us laugh. His take on The Sims 4 CAS demo is no different. We can expect some hilarious new machinima from him I'm sure. And finally, I will indulge myself by sharing my very own Sims 4 machinima. This may be the first one made from game footage because I had the advantage of capturing some footage while I was at the EA Creator's Camp. My intention was just to explore some of the camera moves, and some of the basic machinima making features and tools, but I ended up with enough to make this funny little thing. Keep in mind that what you are seeing is very basic, and even given that I am feeling impressed with the possibilities. There is no cc, no special lighting technique, no mods, just plain and simple in game capture. I hope you enjoy. 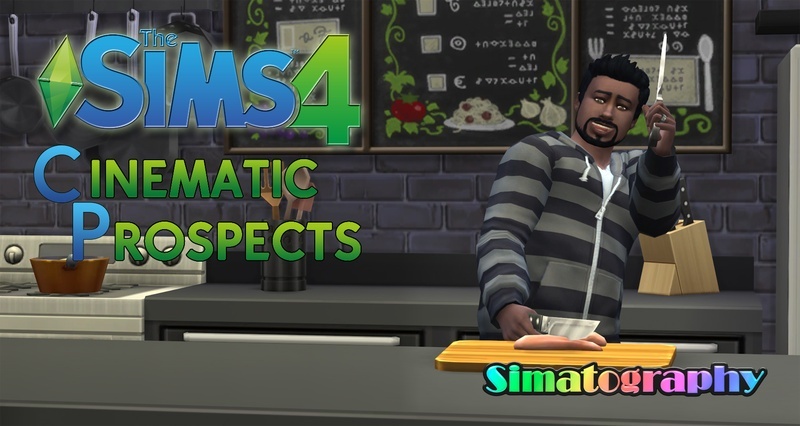 Enter your early attempts at Sims 4 machinima at SIFF this season! 2. Deadline for Sims 4 submissions will be September 10th. Your film does not have to be ready by then, we just need to know that you are entering, so have your submission form in by then. 3. Have fun with it. We don't have all the CC and tools yet, so most people will not have time to finish a really in depth production. Try out an advertisement or something fun.